Fatin Chowdhury is writing on the Svbtle network. There’s been a lot of noise lately on social media and broadcast stations about the Raptors in the playoffs. The hashtag #wethenorth even began trending as the city of Toronto buzzed with excitement. I will be honest - I am a window-shopper when it comes to basketball. By default, I am a Raptors fan being a GTA citizen and appreciate the sport and the sense of community it brings for Torontonians. My experience at ACC watching the game once with my brother was great, so I am always up for watching a game with chanting fans rather than through the screens of the monitor. But as the hashtag made its way around and invaded my newsfeed periodically when the Raptors faced another opponent, I began to wonder about the messaging. 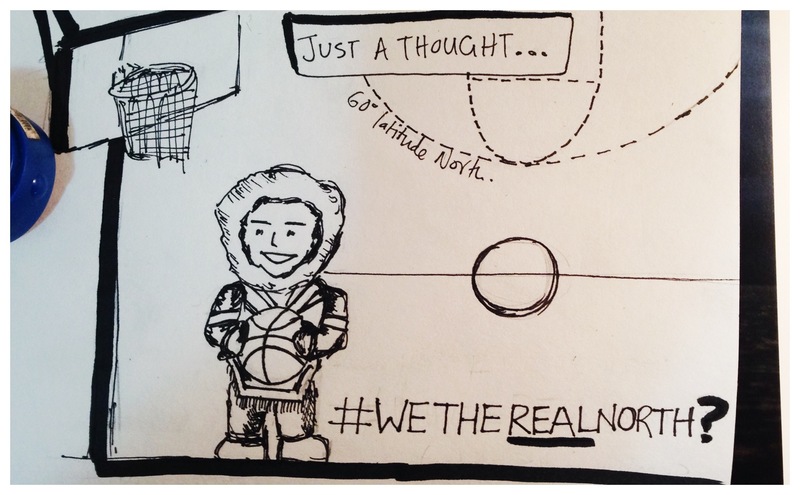 True, we are the northern most basketball team in the NBA and our reputation puts us in an unique position to leverage this brand; the marketing team was wise to do that. I don’t intend to invoke social commentary to ruin a way for Torontonians to celebrate an occasion such as the playoffs games. But I think maybe there’s something to be said about how fervently we are able to rally around certain events with such ease, but neglect other social (chronic) issues at our convenience. What that is exactly - I will leave for your interpretation. The graphic was meant to play on the hashtag and hopefully incite some thought. Best of luck to the Raptors. Whales can’t seem to catch a break.